With the VersaLink C8000 and C9000 models (45 and 55 A4 pages per minute, respectively), Xerox wants to enable companies to produce their own professional-quality communication platforms. The VersaLink C8000 and C9000 are set up using an installation and configuration wizard. The machines can provide standardized workflows compatible with many work environments. On the print side, both machines offer professional image quality thanks to EA toner and high resolution. With their very precise color adjustment, support for a wide variety of print media and finishing options such as stapling and folding, both devices offer services that will allow for a variety of communication media. 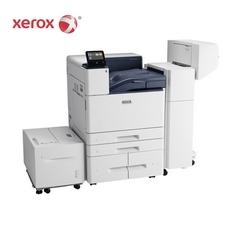 The C8000 and C9000 models are already available through Xerox dealers and resellers.